It seems there’s no shortage of health and wellness companies like AdvoCare that offer products as well as a business opportunity. These can sound really exciting because in theory you’re helping people lose weight and be healthier, but what is the actual truth? It could turn out that people don’t get the results they want and they end up blaming you, or you don’t end up selling anything and waste your time and money. No company that’s been around as long as AdvoCare has been hasn’t learned a thing or two about getting people interested in its products or money making venture. They are following a pretty tried and true method of getting people enrolled as distributors, including selling the American dream of financial independence and a relaxed, free life. Fire your boss, make money while you sleep, and spend more time with your family are things that most anyone would value. But is this a company that can make it happen for you, and are these products that people are going to get excited about, order, and re-order? AdvoCare claims to not only offer high-quality health and nutritional supplements, but also a business opportunity that can help you provide for yourself and your family. The hype comes from all of the affiliate websites promoting these products and business opportunity. Good luck trying to find a real review from actual users that have purchased and tried these products, without going back several pages in the search results. The cost of AdvoCare products is really up to you and what you’re after. Each individual product seems competitively priced, but they have a habit of bundling everything together, so you might get more than what you bargained for. A 24 day challenge bundle will run you $185, with other products costing $30-$40, although it’s hard to determine what exactly it is you’re buying. There’s no specific commitment requirement for using AdvoCare products, unless you go with their 24 day challenge. If you opt not to do that, you can simply take a cafeteria style approach and choose the products that you’d like to use and how often you’d like to use them. Any nutritional supplement should only be sued for a short time, and can’t be considered a permanent fix. We’re usually pretty leery of companies that come up with “challenges” that involve using their product. To us this is a thinly disguised marketing gimmick that gets you to buy their products. It’s almost like double dog daring you to try their product line. In the case of AdvoCare they have a 24 day challenge and have a bundle of products to buy and use. While we’re all for affiliate programs, we believe that you should be able to buy a product when you want to buy it, and not be forced to go through a middle man just to buy something. Since you’re not able to buy directly from the official site, it adds an extra step to the process of buying their products, and forces you to contact a local distributor. While this is good for the distributor, it makes for a bad consumer experience. When you search for a distributor by zip code, you’re presented with a list of individuals that are selling AdvoCare in your general vicinity, each with their own story to read. So after choosing a distributor from the list provided, you’re able to add a product to your cart and buy it online. So the only thing that you can make your purchasing decision on is what a distributor looks like and what their story is. Both seem like arbitrary ways to choose a seller. There’s not anything about AdvoCare that makes us recommend it over other competing products. They are not lower-priced, and the quality seems only as good as everything else that’s out there and not exceptionally better. They’d have to have something to justify chasing down a distributor, but we couldn’t find it. Also, with the rocky past they’ve had with different lawsuits and controversy, we’d say it’s best to go with a company that hasn’t had so much negative attention. In addition, we tend to give most multi-level marketing companies the Thumbs Down, on principle alone. It just doesn’t make sense to us, when it’s so easy to offer your products direct to consumers at a fair price, and based on the merits of the product, rather than a heavy sales pitch. You can safely sidestep AdvoCare products and the business opportunity. Network marketing works best when a company is in it’s early phases and there’s room for rapid growth and expansion. Having been around for nearly 20 years you can be sure that there’s plenty of room at the bottom, but not a lot at the top. What do you think? Does AdvoCare work or not? Does the Dukan Diet Really Work? Does the BodyBugg Really Work? I’m not really a fan of this multi level marketing, but putting that aside the product is good, and it works. I’m guessing it’s not going to work for everybody as we’re all different, but my experience of it is good. It helped me loose, 35lbs to get down to my ‘fighting weight’. How long did it take you and what did you do different besides using the products? Starting vs ending weights?? Thanks!!!! JT – If you would like more information on the AdvoCare 24 Day Challenge or any of the other weight loss, weight lifting performance, and/or skincare products, please email me at amfilkins@gmail.com. I distribute the products and have a wealth of knowledge (from an RN perspective as well) on what AdvoCare can do for you. I also can show you pictures belonging to some of my closest friends that tracked their progress before, during, and even after the completion of the challenge. Anyone that may be interested, please email me! For any orders placed this week or next, I am currently including a free body tape measure to best track results! Can’t vouch for the products but I think this review nailed it on the head in terms of it being a business opportunity worth passing up. It’s been around way toooo long to capitalize from it. It’s definitely not a pyramid scheme. The main focus of the distributor should always easy your well being. Not making all quick buck off your or signing you up. Signing up doesn’t benefit anyone but you. I doubt seriously that my comments will be posted. I used to sell AdvoCare and did see the potential for income if one is willing to work hard and truly believe in their products. I no longer sell AdvoCare because I am retired and do not wish to spend the time chasing a predominate society that primarily could care less about their health. I have been using AdvoCare products for 10 years. I know the science behind their products and personally know many members of their Scientific and Medical Advisory Board. They are legitimate and have credentials beyond comparison. Do their products work? Let’s put it this way, I NEVER get sick, I’m healthy as a horse and outperform persons many years younger than I am. YES, their products work and other companies cannot and will not provide supplements on an equal to AdvoCare…period! What do I use? Top of the list is MNS MAX3. I also use SPARK, REHYDRATION, MUSCLE FUEL, POST WORKOUT RECOVERY AND MEAL REPLACEMENT SHAKES. I have no reason to cheer for AdvoCare other than to challenge anyone that doesn’t know beans about them. Take my word for it, no other supplement company comes close. One can reduce the cost of their products by up to 40%. It is worth doing this. I am a lifetime consumer. I have a couple of questions. I JUST started the 24 day challenge. I am wondering if you work out a lot, or a little or just run. I am going for weight loss. I want this to work, and I want to do it right. Can you assist? Agree! The products are GREAT and there are many people who use AdvoCare and do not sell/or try to sell it, they take the products because they work! Hey Nikki! I just finished the 24 day challenge and had amazing results with no work out at all. You are right in saying that people should sidestep the AdvoCare products and the opportunity. There are a ton of issues with this company from the fact that there is lead in a lot of the products to all the lawsuits surrounding the company. They sue a lot of people for no apparent reason and their products aren’t as good as what they want to lead you to believe. Check this post out and you can see the warning they have to put in with several products when they are sent out to California. So here is my question. What happens to your body when you go off of Advocare?? Hi Aimee! I have been on AdvoCare for almost a year now and have actually quit using the products a couple different times during this period. The only thing I can say that changed while I was not on these products was that the energy I had before was gone. I continued without the products for a month just because of the usual busy life, but started using products again and feel so much better! 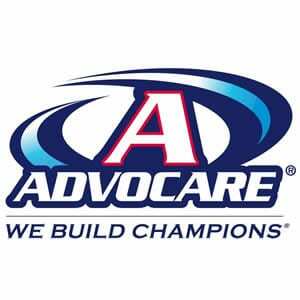 I plan to continue AdvoCare, as it is a part of my daily life now. If you or any others have questions, please email me at treadwell2016@gmail.com. I am an Independent Distributor and would love to help you or anyone else accomplish there goals! The products are the only that has ever worked for me. Ever. That’s why I signed up to be a distributor. I’ve researched and seen the science behind it. I’m not exactly sure how or where this review (opinion) came from. Doesn’t sound like much research was done. On top of that you’re claiming one should not do it because it’s been around too long and basically the market is saturated. When in fact that is wrong. Less than 10% of the country have heard of advocare and only 3% know what we are. That’s slowly changing though now that we’re in almost every NFL locker room, official sponsor of US Soccer, Releasing several commercials on national TV etc. If you really want the story, history and legitimacy of advocare, email me and we’ll talk!